Teachable moments come with both kids and adults. 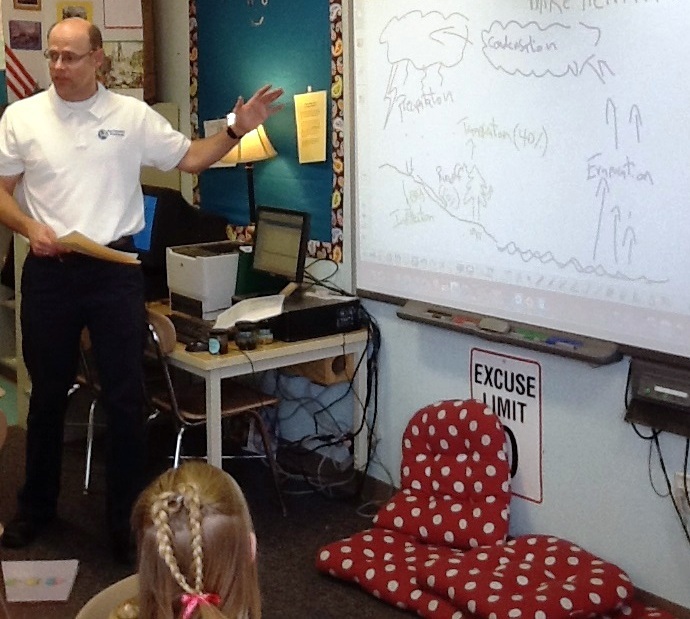 This past week, I got to spend an afternoon with the 5th grade students at Conn Elementary to talk about ecosystems, watersheds, and the importance of restoration. The students will get the chance to learn about these themes in both the classroom and the field as the go to visit a stream and survey some bugs. In the class, they built t heir own ecosystem models and get to compare how they function under different conditions (e.g., light, nutrients, vegetation, bugs). This mix of hands on and class exposure will certainly help drive home important themes for the kids to understand. In my afternoon, I was able to see that they’ve digested concepts such as the changes that excess nutrients bring to ecosystems (i.e., algae-choked water and inhospitable conditions for its inhabitants). They also talked about the importance of controlling stormwater and promoting its infiltration to limit its negative impacts. They are on there way to a successful lesson and I was glad to be a part of it. I’ll comment on the adult side of this subject in my next post.